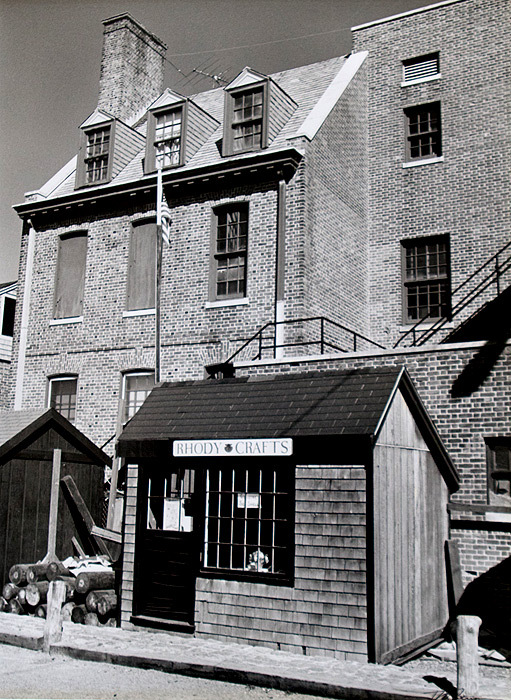 Sailmaker’s shops, sail-drying lofts, and a whole array of buildings that were essential for a busy maritime wharf are what you’ll find on historic Bowen’s Wharf. 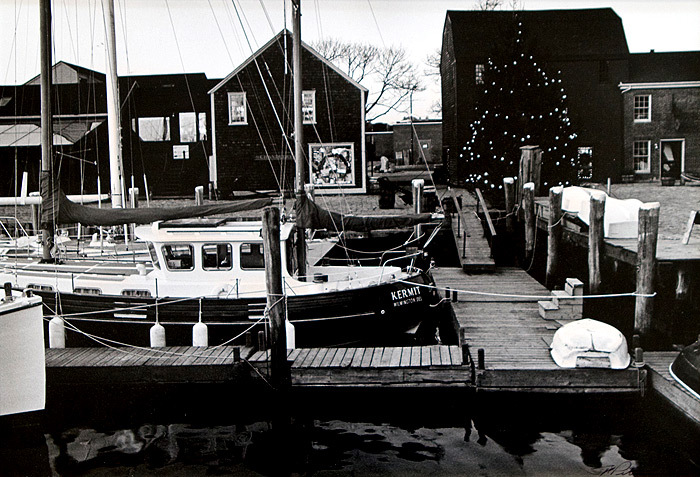 Brick walks, granite quays, and 18th century commercial wharf buildings bring you back to our beginnings as a thriving seaport in one of the finest natural harbors in New England. 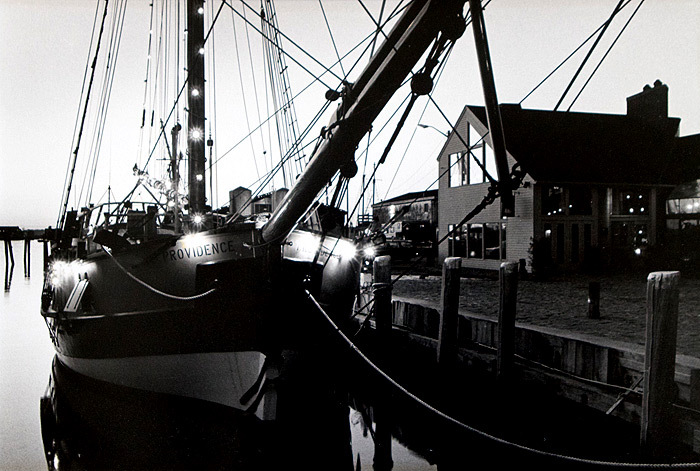 Trading with all corners of the world, then and now, Bowen’s Wharf is the anchor of Newport! Bowen’s Wharf is centrally located on the waterfront at the foot of Newport’s Historic Hill. With more colonial houses and public buildings than any other city in America, Newport is a beloved destination for all ages. Newport Harbor, deep, sheltered, with direct access to Narragansett Bay and the Atlantic Ocean, is one of the finest natural harbors in New England making it one the most important and successful colonial seaports. 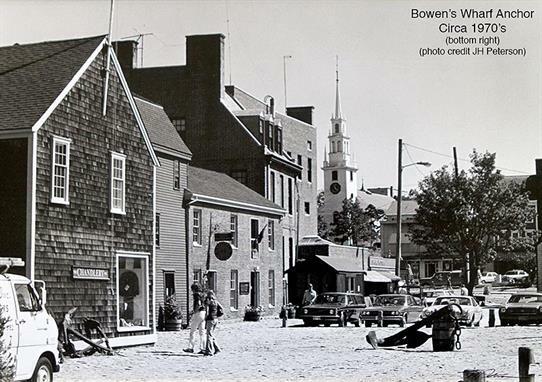 Since the 17th century Bowen’s Wharf has contributed to the city’s business and life. 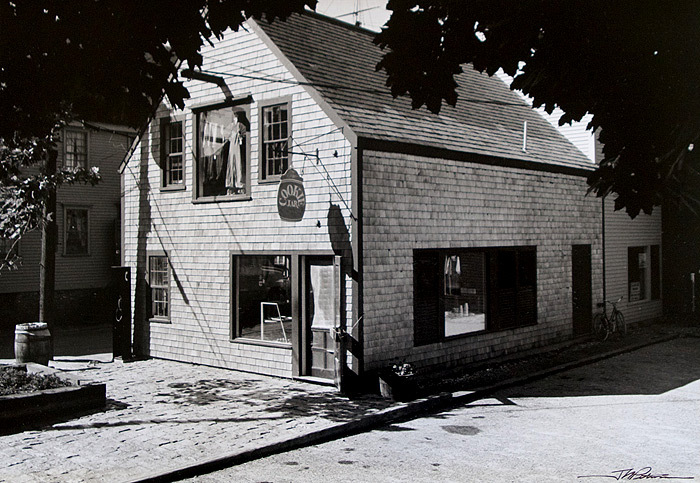 After the Revolutionary War the most active ship’s chandlery was on Bowen’s Wharf and trade to all corners of the world continued until the mid 1800s. 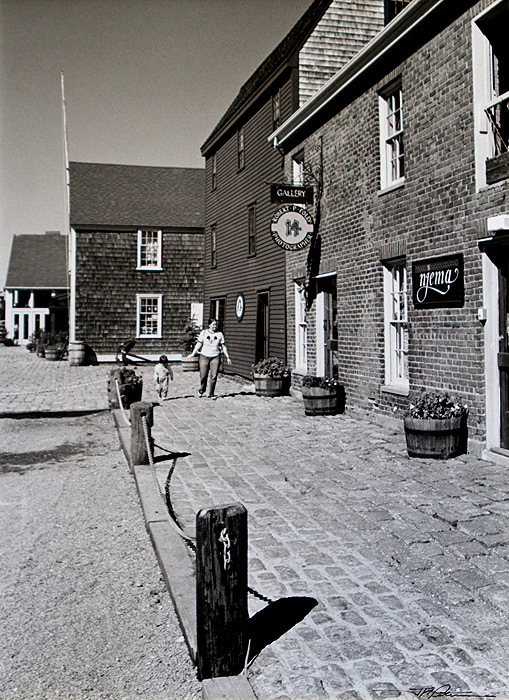 The cobblestone street, granite-walled quay, rare 18th Century wharf buildings, and brick 19th Century buildings all make this site unique both in New England and in America. Bowen’s Wharf was originally known as Stevens’ Wharf, after Robert Stevens Ship Chandler. This shop was next owned by George Piltz and served as the office for the George Bowen’s Coal Company. The Robert Stevens mansion was at the corner of Bowen’s Wharf and Thames Street, and was a unique double house design. Because Providence and Newport were founded by dissidents, they became places of refuge for others wishing to worship as they pleased. Quakers from England, Jews from Portugal and Spain, and Baptists all came to Newport in the mid-1600s to find religious freedom. They brought talent and a gift for hard work. The settlement prospered and it became the colony’s most important town and one of the New World’s busiest ports. Throughout Newport today, many beautiful colonial homes and other landmarks such as the Old Colony House (center of government), Touro Synagogue, and Redwood Library attest to the wealth and prosperity of Newport. 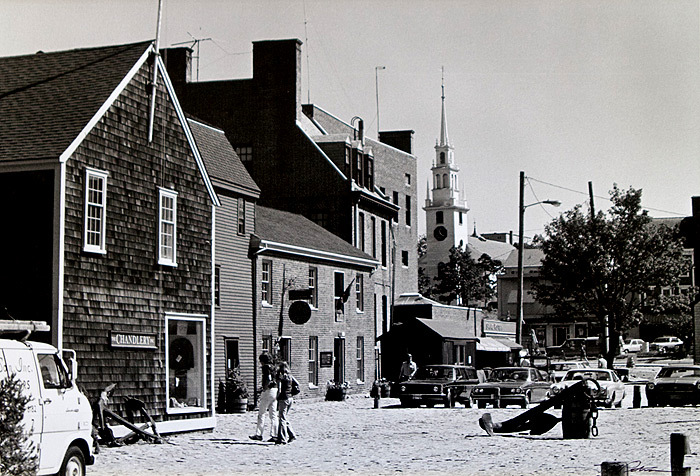 During the American Revolution the British occupied the town and its excellent harbor, and held it for three years. A British frigate, HMS Rose, did much to hinder the transport of supplies to the Americans, and spurred them to found the United States Navy in retaliation. Despite a French naval blockade and an American siege, the British held onto Newport until 1779 and, after this interruption in its social and economic life, Newport never regained its status as the prime trade center in the State of Rhode Island and Providence Plantations. 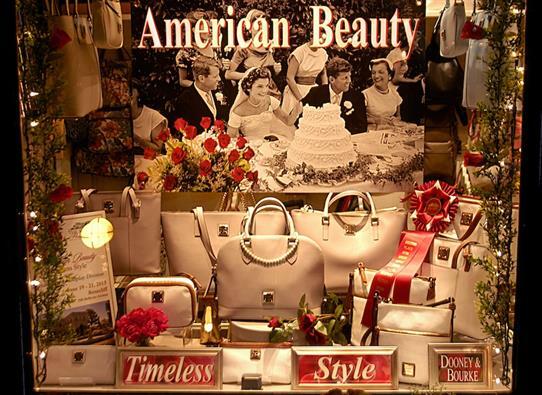 Several decades later, however, it achieved prominence in another fashion. Drawn by the beautiful woods and dramatic coastline, wealthy merchants from New York and Philadelphia began to come to Newport to spend their summers. In the early-1800s the first of Newport’s famous mansions, Kingscote, was built, and others followed until Newport’s Bellevue Avenue and Ocean Drive could boast the highest concentration of summer ‘cottages’ — mansions by any standards. Newport has long been known as a major yachting center and host to the Newport to Bermuda Race, Transatlantic Races, and the America’s Cup Competition. Newport’s waterfront features improvements and updates for visitors to Bowen’s Wharf and other harbor-oriented projects. Bowen’s Wharf was, and remains, the anchor of Newport. Sign up for our email newsletter to learn the history of our anchor that now rests in the center of our wharf.